After a period of relative silence, recent years have been marked by an upswing of interest in environmental issues. The publication of the report of the World Commission on Environment and Development on 'Our Common Future' (1987) has acted as a catalyst for a revival of the environmental awareness, not only regarding local and daily pollution problems, but also -and in particular- regarding global environmental decay and threats to a sustainable development. In a recent study by W.M. 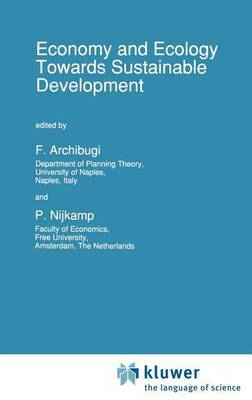 Stigliani et al., on 'Future Environments for Europe' (Executive Rep~rt 15, IIASA, Laxenburg, 1989) the environmental implications of various alternative socioeconomic development pathways with respect to eleven environmental issues that could become major problems in the future are analysed. These issues include: Managing water resources in an era of climate change. Acidification of soils and lakes in Europe. Long-term forestry management and the possibility of a future shortfall in wood supply. Areas of Europe marginalized by mainstream economic and agricultural development. Sea level rise. Chemical pollution of coastal waters. Toxic materials buildup and the potential for chemical time bombs. Non-point-source emissions of potentially toxic substances. Transportation growth versus air quality. Decreasing multi-functionally of land owing to urban and suburban land development. Increasing summer demand for electricity, and the impact on air quality.